Scottish Borders Council has accepted recommendations from education chiefs to prioritise Galashiels as the next town to receive a new high school. Officers are recommending the council spend £61.6m on a cross-generational campus for Gala, which would be due to open in 2023. Plans for campuses in Hawick, Selkirk and Peebles would then follow in that order. However, the plans have been met with fury by opposition councillors from other areas, who claim their areas have been overlooked. Councillors also raised concerns over the cost of building four campuses, at a cost of £345m, over a 13 year period. At a meeting of Scottish Borders Council yesterday (Thursday), Hawick and Hermitage councillor Watson McAteer spoke out against Hawick being passed over in favour of Galashiels: “Was there ever the slightest chance that Hawick or indeed any of the others would be next on the list? “This is not about pitching Hawick versus Gala or Peebles or anywhere else it’s about fairness, it’s about need, it’s about a future for a community that is quite simply feeding from the bottom of the tank. “Hawick High School is not only not fit for purpose, but its current condition is an embarrassment to modern education and the youngsters and teachers who are required to attend this utter shambles are being let down by all in here who will not support them. “And let’s be absolutely clear, with new high schools in Duns, Eyemouth, Earlston, and Kelso, and with work about to start in Jedburgh, when you agree this prioritisation for Galashiels today to you slam the door shut on any prospect of Hawick attracting teachers when they have a choice of modern versus old and dilapidated. Councillor McAteer then introduced an amendment, supported by fellow Hawick councillors David Paterson, Stuart Marshall and Clair Ramage, which asked for the council to delay its decision until a complete report had been submitted by education officers. 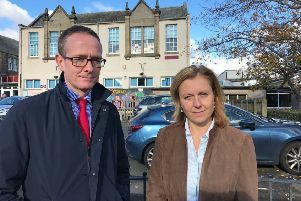 Tweeddale West councillor Heather Anderson and Selkirkshire councillor Elaine Thornton-Nicol also spoke out against the plans and highlighted the need for new schools in Peebles and Selkirk respectively. Tweeddale East councillor Stuart Bell, who serves as leader of the opposition, cast doubt on the claim the council could afford to build four schools: “There is something financially unviable and deeply unfair in this paper, if the costings and timings are added up for four campuses, then over 13 years you get an incredible £345m. “We’ll probably receive around half, and will have to find the other half. “There is no way that can be paid for, even in the unacceptable timetable of 13-plus years. That’s unfair to the Borders and unfair to Peebles, because so much would be spent on replacing primaries in other towns, that the high schools in Peebles and quite possible in Selkirk, would be kicked down the road. “The finance team are holding up a big warning sign, saying that to do even one campus, we would need to be up to our borrowing limit and we’d need reschedule the current capital plan. In response, council leader Shona Haslam rebuked claims the report unfairly favoured Galashiels: “This has been a robust process and deliberation, which has been undertaken with an open mind as to which town has the greatest need for a new learning facility, and recommendations have been made on that basis. “It’s false to say that the consultation is incomplete, it has been completed, but further consultation is required. “No-one is pitching anyone against anyone. Only the councillors who have spoken in this debate are saying that. “Councillor McAteer, the door is not slammed on Hawick, and it is mischievous of you to suggest that. “Hawick is getting a new high school as quickly as humanly possible as this council is able to deliver it. “It seems strange that a councillor from Tweeddale is having to stand up in this chamber and say that Hawick is still a proud seat of learning. “It has a fantastic staff, and some fantastic people doing some incredible things. The Hawick High News is inspirational, and the only school in the Borders to do this, the debate team is a force to be reckoned with, and they do fantastic things. “It is a proud, proud seat of learning and I can’t believe that a Hawick member would stand up in this chamber and say that it’s not. “There are three main reasons that Hawick High School kept hitting the national headlines, about a small number of unruly pupils, and those three reasons are councillor Ramage, councillor McAteer, and councillor Marshall. Councillor McAteer’s motion failed by 17 votes to 16, with Hawick and Hermitage councillor George Turnbull, who is a member of the Conservative/Independent ruling coalition, voting against his own administration. 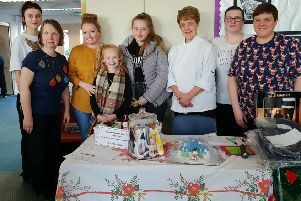 The plans for Gala will see 1,100 secondary school pupils, 50 additional support needs students, 650 primary school pupils and 200 nursery children educated across the campus, to be split between the new Langlee Primary School and a new building at either Scott Park or Netherdale.